Who wouldn’t love to live in a home with award-winning features? At Shearwater, our homebuilders offer more than 40 different, high-quality home designs. And, this year, Shearwater’s homebuilders took part in Northeast Florida Builders Association’s 2017 Parade of Homes, an event that showcases the best in newly constructed homes on the First Coast. Despite some stiff competition from 105 model homes on display in 75 different neighborhoods from Fernandina to St. Augustine, every single home entered by a Shearwater homebuilder won an award! Receiving a Parade of Homes award is no easy task. Builders are held to rigorous standards, and only the best in new home designs are recognized. Five of Shearwater’s homebuilders took part in this 60-year-old tradition. David Weekley Homes, the nation’s largest privately-held home builder, entered their Ft. Stallings model and, for the second year in a row, the builder received a best feature ribbon for their kitchen. Their beautiful kitchen features a large central island and abundant cabinet space. Lennar Homes won a best feature ribbon for the flex space in their Charle model home, a unique room that allows the home to change as your family grows. MasterCraft Builder Group entered their two-story Egret Florida Farmhouse and was awarded a best feature ribbon for the stunning fireplace located in the Great Room, a space that’s perfect for both entertaining and cozying up for a movie night. In The Woodlands, Shearwater’s only gated neighborhood, D.S. Ware Homes entered their Palazzo II model. They received a best feature ribbon for the stylish fireplace in the master bedroom, a design element that adds a touch of luxury to the space. 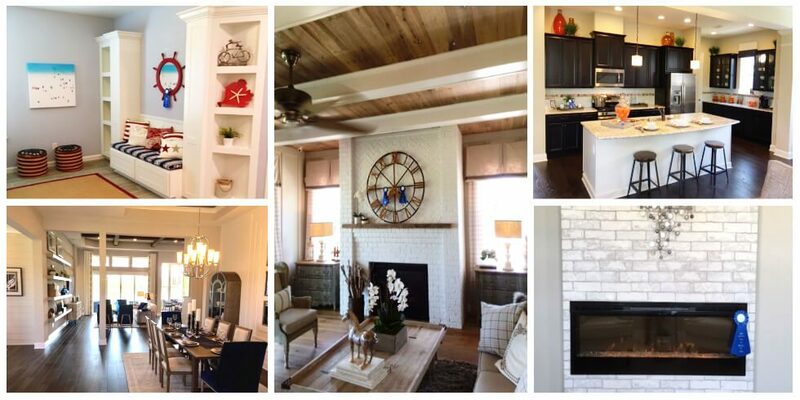 Drees Homes, also located in The Woodlands, won a best feature ribbon for the overall floor plan of their Westgate model, a home with beautifully functional living spaces both indoors and out. You can come see all of these award-winning homes for yourself, or even call one of these homes your own, by visiting Shearwater and touring our model homes. Models are open daily for tours, no appointment needed. Click here for our hours. Interested in learning more about Shearwater’s homes and everything our community has to offer? Join the Founders Club to always stay up-to-date on Shearwater happenings.